It’s been a while since I’ve sat down and completed a lengthy review complete with a video edit and use of YouTube (I had to dig out and dust off my video camera for this one). We’re kick starting a new review section with reviews written by staff members using the new site design. The old review section will of course remain but my intention is to add new reviews and videos on a regular basis here with videos. Today I’ve published a review of the ICS Butterfly Holster. Included in the review is a quick video review. The Butterfly Holster from ICS is a simple design that allows the wearer to fit it for left or right handed use and to customise the shape for a variety of different sized framed pistols. The holster fits a pistol and two magazines and is easy to wear and remove. Today, we are reviewing the OffWorld Manufacturing, Inc., Model 2019 Blade Runner Unit (B.R.U.) 10mm prop blaster. The pictures used in this review are from the actual OffWorld Manufacturing, Inc. eBay auction due to their high quality. However, this review is based on an actual hands-on unit purchased from OffWorld Manufacturing, Inc. I received the M2019 from OffWorld Mfg after waiting over a month for delivery. 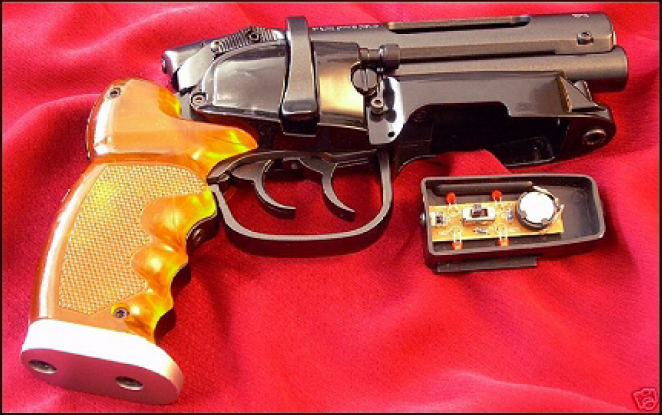 OffWorld Manufacturing, Inc. indicated in their eBay auction that this was the last run of these prop blasters. We will see if this ends up being the case. Deepfire M4A1 review – now with added Titanium! Hi there folks, we’ve got a second review this week, not quite as exclusive, as Marlowe’s kashni-thingy, but Deepfire have sent us one of their new M4s for a look-see, its got titanium gears, titanium piston teeth, titanium coated other buts and I’m pretty sure the titanium is made of titanium. To watch a crazy Glaswegian talk about his armali-thingy, click here. LCT Airsoft (Ryh Yeou) AMD-65: Exclusive Review! I have to confess I was somewhat ambivalent when first asked by Ryh Yeou to review their new AMD-65, but once the rifle arrived, I have to say I quickly started to find myself developing a soft spot for the AKM’s ugly brother. However, one thing which struck me about the rifle as I removed it from its packaging was how timeless in design it seemed, in the flash. Without the laminated wood which so dates its Soviet kin, the AMD-65 could easily be passed off to the unaware as a CQB variant of an AK, with the only hint at its past being its traditional ‘47’ style ribbed 7.62mm magazine and upper ribbed receiver cover. Another strong impression was of the weight and solidity of the rifle. Ryh Yeou worked previously as a manufacturer operating on behalf of Inokatsu, and this association shows. Upon first impressions, there is very little to separate the rifle from an Inokatsu AMD-65, either in weight, quality of materials or finish. Unlike Inokatsu clone manufacturers such as Unicorn, the AMD-65 has a smooth and glossy finish to the receiver (in contrast to all other Inokatsu rifles I own, which have a matt and textured finish), with all components feeling solid and sturdy. All metal components appear to be solid steel (including the barrel and flash hider), with the plastic pistol grips both having a slightly rubberised, high quality feel to them. I was further impressed by the inclusion of what appear to be appropriate Hungarian trademarks on the receiver – no Izmash factory brands from a Russian AK, as you might find on a home-made alternative! 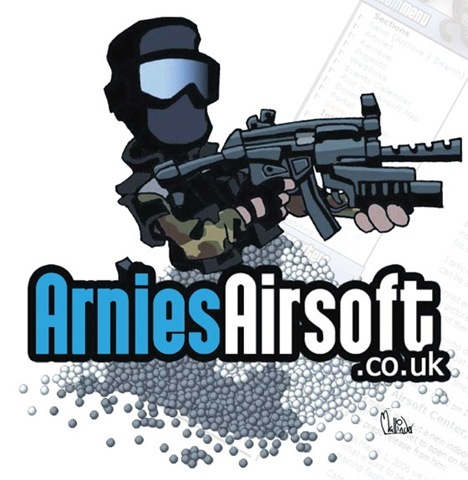 You can read my full comments on LCT Airsoft’s first major release here. 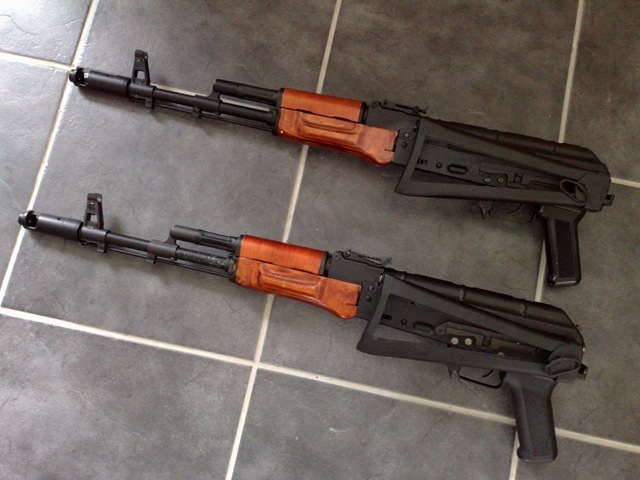 Expect a review of their AK parts (such as their RPK receiver) soon! 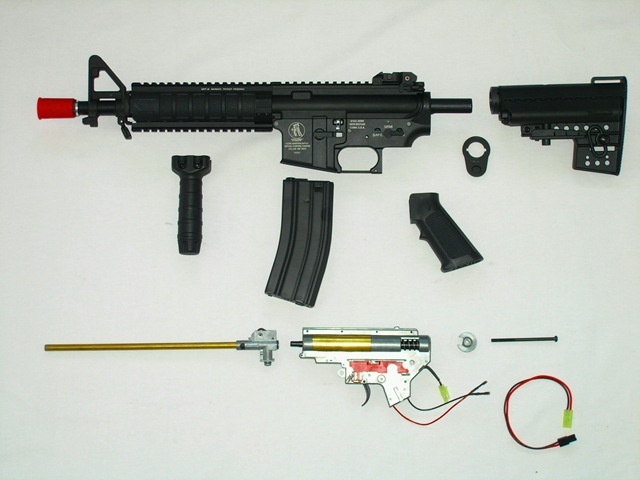 Real Steel History: HK416 is a gas operated, selective fired weapon of modular design. It uses short-stroke gas piston that operates the 7-lug rotating bolt. Receiver is made from high grade aluminum alloy. Combination-type safety / fire selector allows for single shots and full automatic mode. 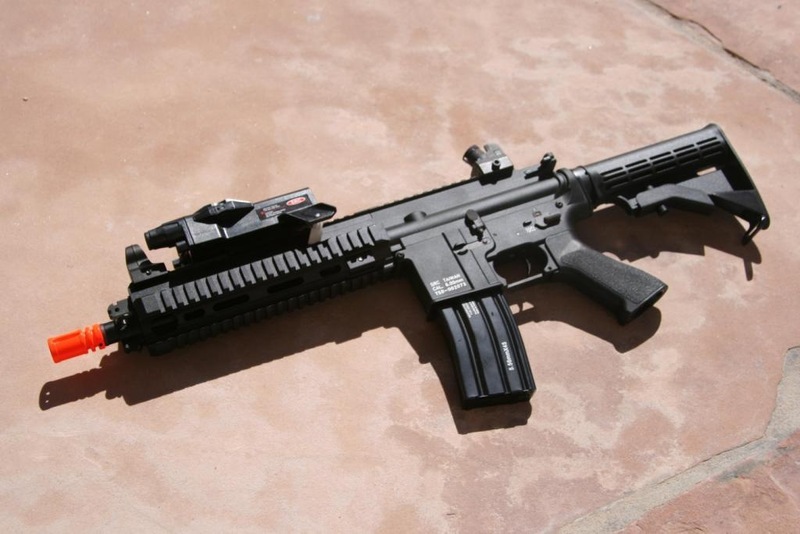 Hk416 retains all M16-style controls, including last round bolt hold-open device, rear-based charging handle and magazine release button on the right side of the magazine well. HK416 is fitted with four Picatinny rails as standard, and may accept any type of sighting devices on STANAG-1913 compliant mounts. 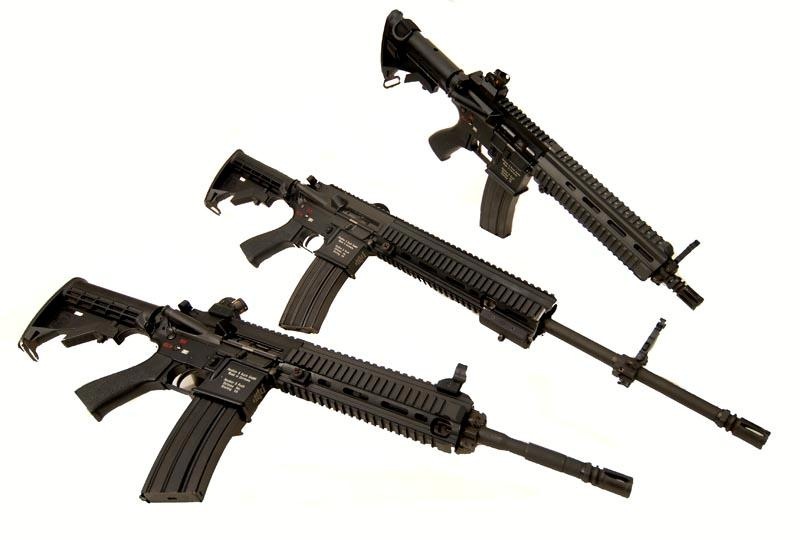 It also can accept modified HK AG36/AG-C 40mm grenade launcher, which is clamped directly to bottom rail. The buttstock is of typical M4 design, multi-position telescoped. Ordering: I was fortunate enough to receive a pre-production sample of the TSD/SRC 416 directly from TSD, for the purpose of writing a review. The sample I received does not have all of the TSD requested modifications, namely an M120 spring, 6.03mm tightbore inner barrel, and a high strength piston, so the performance of mine will be less than the production models. Pricing wise, TSD’s website, www.airsoftsd.com has the price listed as $398 – $420 USD, depending on barrel length, but my experience with TSD’s listed MSRP is that the actual price is lower. I expect this to come in at less than $400 USD for all models. The model, like all of TSD’s models, includes a warranty, which is 60 days in this case. The 416 is available in three barrel lengths, 10”, 14.5”, and 16”, and will soon come with two stock options, a standard LE stock, with the battery in a mock VITAL-2 laser box, or a Crane stock, with the battery housed in the stock. The model I will be reviewing is the 10” barrel, LE stock version.